Die, you filthy belt ratter you! If you're looking for casual small scale PVP, then I wouldn't hesitate in recommending a move to lowsec. A couple of years ago that might not have been my advice, but lowsec's star is now clearly on the ascendant; the revamp to faction warfare has substantially increased activity in some of the core lowsec regions, while an updated crimewatch system has greatly reduced the downtime and frustration previously associated with aggressive lowsec PVP. On top of that, the new tags and renewed focus on exploration have given players from all walks of life some more compelling reasons to be out in lowsec space, meaning more opportunities for hunters and willing combatants alike. It may have taken years of complaining from neglected lowsec residents to get us where we are, but the result is that lowsec is now a hell of a lot of fun! With no bubbles, lowsec offers great freedom of movement. 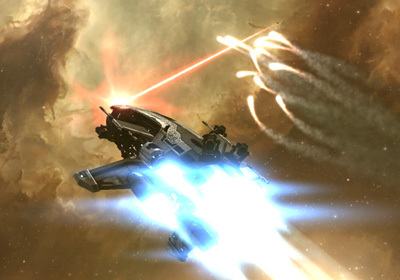 A small ship can generally move around unhindered (the insta-locking gatecamps that you hear about are actually very few and far between) and the ability to warp gate-to-gate without worrying about drag bubbles substantially reduces travel time when compared to moving through hostile nullsec. Combined with the fact that lowsec regions tend to be quite interlinked, this makes lowsec something of a roamer's paradise; you're never short of potential destinations and can travel the length and breadth of lowsec without ever straying far from a station you can dock in or a highsec hub where you can resupply (providing your sec status will allow it). When activity in your usual haunts is on a down-turn you can easily roam elsewhere, in many cases without even needing to relocate your HQ. This contrasts with life in nullsec, where your ability to find PVP tends to be more reliant on activity in your immediate surroundings. As odd as it might sound given that pirates are supposed to be the bad guys of New Eden, one of the biggest strengths of lowsec has to be its community. Perhaps it's down to the relatively small size of lowsec space compared to the vast expanses of nullsec, the fact that many of the residents are there for good fights, or just that it's so easy to roam around and meet people, but the impression I get of the lowsec community is that of one big, slightly dysfunctional family. Particularly when you're talking piracy and small scale or solo PVP, there's a sense of shared identity in lowsec that I didn't really feel much of when I was living out in null. Whether you're looking for people to fight or simply someone to roam with, there's generally no shortage of people willing to take up your offer. Before I came to lowsec, one of the things that put me off the idea (and that I'm sure puts off many other people too) was the hit I'd be taking to my security status. I'd always assumed that highsec would essentially become off limits once my sec status went below -5, and that this would impact my ability to travel freely. Having now experienced it I can tell you that's not really the case; faction police NPCs don't spawn immediately, and when they do appear they web you (which helps you get into warp) long before they apply any other tackle. Because of that, the only real danger you face when travelling through highsec is being tackled by another player - not much different to every time you jump through a lowsec gate, except that in highsec people generally aren't sitting around waiting for you! The biggest drawback that I found to going flashy is actually just that it makes you look that much more intimidating - people naturally assume that a flashy pilot is out to get them, meaning they're both more likely to run away and less likely to go on the offensive against you than they might if you had neutral or positive sec. Having the ticker of a well known pirate corp doesn't help of course, so I might have been getting a slightly biased sample on this one! On the other hand, being flashy does have its up-sides. As a non-flashy pilot in lowsec you're quite limited when it comes to fighting on gates; unless your opponent is flashy, neither of you can initiate the fight without taking gate gun aggro. While you can get around this by luring your opponent away to a belt, not everyone is willing to follow you and the fights that you do get can sometimes feel a little too consensual. Even against flashies, you're forced to take the first shot which can be problematic if you want to lead them into overconfidence. Once you go flashy yourself you can be engaged freely anywhere, which expands your options significantly. It also increases your risk, but that just makes things more fun! Where highsec access can become a pain is when you need to go shopping. While you can still safely swing through highsec to pick up smaller supplies if needed, you'll generally want to stick to fast ships and avoid busy stations - flashy pilots and slow, defenceless haulers don't mix well at all. Thankfully, this is a fairly easy problem to solve; training an alt to fly haulers requires little in the way of investment (particularly now that hauler tiers have been removed) and can easily be done on the same account as your main. Having someone in corp with a freighter or jump freighter alt can assist greatly when it comes to bulk moves, and for those without you can always contract a group such as Black Frog to do the job for you. Once you get over the inability to go shopping on your main (or if you simply don't go flashy in the first place), the proximity of lowsec to the major highsec trade hubs is actually a huge advantage. Particularly if your lowsec HQ is only one or two jumps deep, stocking up becomes a relatively painless affair - you can AFK haul to the closest highsec system, and then simply wait for a quiet moment to scout in your hauler. While living in a nullsec area with stocked corp hangars and an active market is arguably even easier, most NPC regions don't offer this luxury and the ease of bringing your own supplies into lowsec can be seen as a major selling point. This is especially true when you're talking about casual play - nullsec suits buying in bulk and flying what you already have available, whereas in lowsec it's much easier to say 'I feel like flying a Ferox/Coercer/BattleVenture today' and then just go out and buy one. Unfortunately, not everything in lowsec is sunshine and roses. First of all, let's talk finance. As a place to make money, lowsec generally offers slightly greater rewards than highsec (particularly when it comes to exploration) but at substantially higher risk. In fact, thanks to the relatively low traffic and (relatively) effective intel networks in many areas of nullsec, lowsec is often considered to be even more dangerous than null for a substantially lower reward. Surviving in lowsec isn't too difficult, but when your main playstyle already involves getting your ship exploded regularly it's understandable to choose a home that can provide as much disposable income as possible without adding too much to the tally. Thankfully, there is a notable exception in the form of faction warfare. While it isn't quite as lucrative as it was in its heyday, FW provides a very competitive income source as well as additional routes to generate fights without incurring the wrath of gate guns. The main drawbacks are limited highsec access (which is irrelevant is you're already flashy) and some slightly limitations on which lowsec stations you can dock in. How much money you make will depend on how well your faction is doing, but if you're looking for lowsec PVP with a strong income source it's definitely a good option. Although losing sec status is not a huge drawback in itself, it does make lowsec piracy - alongside suicide ganking - one of the few professions that comes with a real barrier to exit. 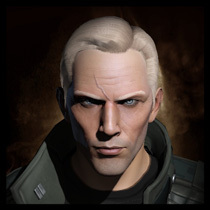 If you decide you don't like nullsec any more or want to give up your career as a mission runner, the world is your oyster. If you're trying to move on from piracy on the other hand, your options are quite limited unless you're willing to grind your sec up or hand over a significant amount of isk. The ability to trade tags for sec status is an absolute godsend in this regard, but it's not cheap. Faction warfare is arguably even worse in this regard since it erodes your standing with the opposing empire factions. This can end up limiting your highsec access even after you leave FW, and unlike security status you can't just buy your way back to positive standings! All that said, I think the biggest qualm that I had with lowsec simply came down to the kind of targets that you'll find there. Skim through the killboard of any lowsec corp and you'll probably find a fair number of very impressive kills - frigates soloing battlecruisers and so on. Look a little closer though, and you'll see the tell-tale signs - a fit that makes no sense (dual tank with faction railguns, why not? ), T1 drones still safely in the bay, ammo choices that simply don't make sense (iron charges in blasters) and so on. I'm sure you know the kind of killmail I'm talking about! Admittedly my experience may have been distorted by the proximity of Hevrice to some of the highsec starter areas, but one of the things that really stuck out for me was the number of people who stray into lowsec without understanding the risks and end up as one of the aforementioned killmails. Most of them have completely impractical fits and are completely unprepared for a PVP encounter - many don't even try to warp out when you land in their belt, and happily go on about their business right up until you start tearing through their hull. When they do react, it's often more with panic or disbelief than with any concerted attempt to defend themselves - many of them simply don't understand why you'd want to shoot them in the first place. Not everyone has the same attitude towards this kind of player, and I realise I'm probably in the minority being a filthy soft-hearted doo-gooder. Some pirates approach this situation by offering advice after the kill and turning the pilot's loss into a net benefit, while others simply embrace the suffering of lesser mortals and the rush that accompanies it. Many of you I'm sure would consider an abundance of willing victims a major selling point, and you wouldn't be at all wrong - I'm not one to judge. For me though, it just made things a bit less satisfying; it's hard to feel like you're challenging yourself when half of your targets simply fall into your lap. That's not to say you have to take them of course - many lowsec residents who you might call 'pirates' are really better described simply as lowsec PVPers, focusing more on good fights than pursuing kills that look too easy. Thankfully, that's a playstyle that lowsec supports exceptionally well!